The fruit of the Nagami kumquat tree grow in clusters. The fruits themselves are oval with a smooth pebbled surface. They ripen within a month from green to brilliant orange. Once mature, the fruit can reach up to 2 inches in length. Unlike citruses, the entire fruit is edible, although the few seeds buried in the flesh are recommended to be spared. The peel is where the true citrus sweetness lies in both aromatics and flavor. The flesh delivers a tart and juicy contrast, and if eaten whole, makes for a perfectly sweet-tart mouthful. Before disposing of or simply eating, consider saving the seeds, as they are a source of natural pectin. Nagami kumquats are available in spring. 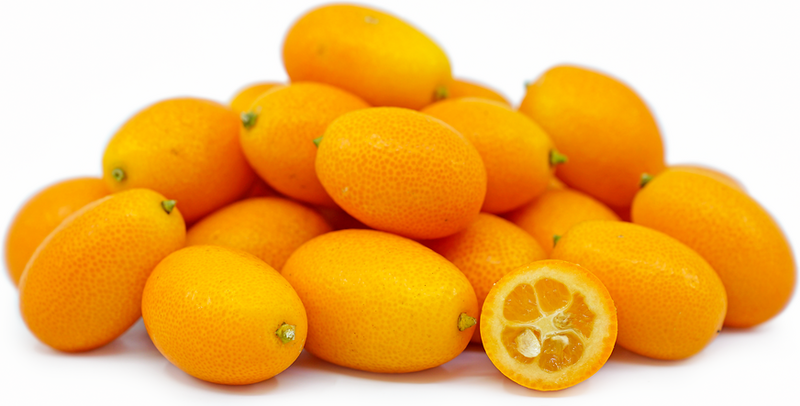 There are four varieties of kumquats, of which, two varieties are the most common: Nagami and Meiwa. Meiwa is considered to be the sweeter of the two, yet Nagami is the most commonly grown as it is a more vigorous, hardy and prolific producer. All kumquats used to be classified as a citrus up until 1915 when they were given their own Genus, Fortunella, named after horticulturist, Robert Fortune, who introduced the kumquat to Europe in 1846.